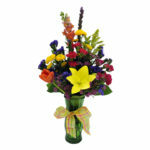 Let this splendid arrangement express your utmost sympathies. 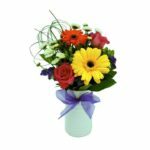 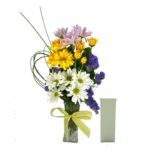 Luscious yellow blooms – roses, carnations, snapdragons, and spider chrysanthemums – are beautifully composed and accented by Bells of Ireland. 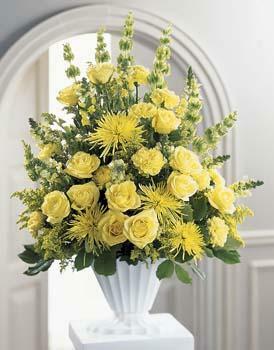 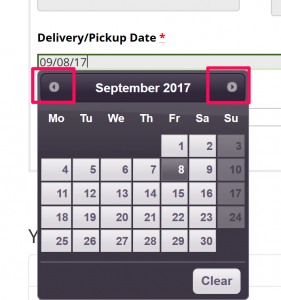 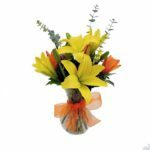 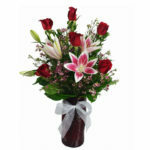 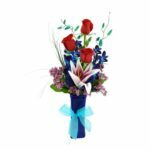 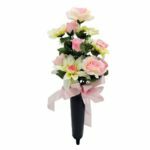 Design is one-sided and is appropriate to send to the funeral home or service.